After businessman Dr. Emmanuel Fijabi Adebo filed a lawsuit against the regulatory National Agency For Food and Drug Administration and Control (NAFDAC) and the Nigerian Bottling Company (NBC), Judge Adedayo Oyebanji ruled that high levels of benzoic acid, as well as additives in Fanta and Sprite, could pose a health risk to consumers when mixed with ascorbic acid, or vitamin C.
In 2007, Emmanuel Fijabi Adebo’s company, Fijabi Adebo Holdings Limited, purchased Nigerian Sprite and Fanta to export to the United Kingdom (U.K.) for retail. When the products arrived in the U.K., health authorities ran tests and concluded that they weren’t fit for human consumption, CNN reported. The shipment was seized and destroyed because the products contained excessive levels of benzoic acid and the food coloring sunset yellow, both of which pose a serious health risk. In their defense, the Coca-Cola Company said the claims are inaccurate and unsupported by science. Lawyers for the Nigerian Bottling Company added that the products were not intended for export to other countries. 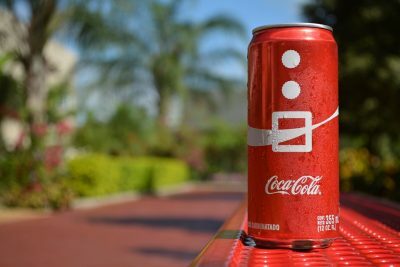 “All our products are safe and strictly adhere to regulations in the countries where they are sold, while complying with our company’s stringent global safety and quality standards,” a spokesperson for Coca-Cola told the Independent. Judge Adedayo Oyebanji rejected their defense, stating that any manufactured soft drink “ought to be fit for human consumption irrespective of color or creed.” The Lagos High Court ordered the NBC to place labels on Fanta and Sprite bottles to inform consumers about the possible health risks. Furthermore, the NAFDAC received a fine of $6,350 for failing to ensure health standards. Both companies argue that Coke’s products don’t exceed benzoic acid limits in Nigeria. They cited limits set by the United Nation’s Food and Agriculture Organization (FOA), which may vary by country, depending on several factors such as climate and country regulations. According to them, higher temperatures require higher levels of preservatives. As stated by Sade Morgan, legal, public affairs, and communications director of the NBC, the standard limits of benzoic acid in soft drinks in the U.K. is set to a maximum of 150 mg/kg. Fanta and Sprite products coming from Nigeria, however, have recorded levels of 200 mg/kg, which is lower than the Nigerian regulatory limit of 250 mg/kg. While authorities and the FAO claim that the products are safe, Health Minister Isaac Adewole insisted on opening an investigation into the safety of Coca-Cola products produced in Nigeria. The news has spread like wildfire through Nigeria, resulting in fear among the public. Many Nigerians aren’t too sure anymore whether they still want to drink soda that’s considered poisonous for humans in some parts of the world. While Coca-Cola and the NBC hope for a successful appeal to rebuild their reputation and restore trust, consumer groups are calling for immediate boycotts.